The O.D. Arcade and Lounge has been a favorite among locals and visitors for over a decade. It is a common hot spot for shaggers during the Spring, Fall, and Winter SOS celebrations. The O.D. Arcade and Lounge has an air conditioned arcade and is fully equipped with pool tables and the latest games. There are over 20 TV’s for watching your favorite sporting events. They have very friendly staff, who serve up great food and drinks. Locals all know about the great burgers, cheese steaks, and of course their Famous Fish Fridays. The O.D. 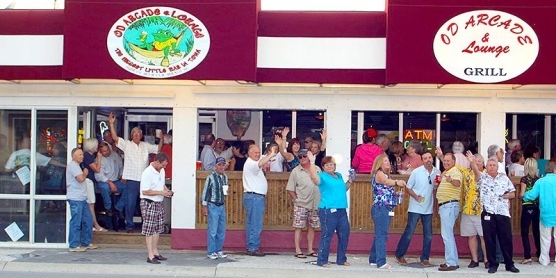 Lounge also offers some of the best live music on The Grand Strand.